Ireland’s Hope – A non-profit organization committed to increasing organ donor awareness and registration in the United States. Sending the message of hope. Ireland’s Hope is a 501(c)(3) non-profit foundation who’s mission is to increase pediatric organ donation while providing financial assistance to children undergoing heart transplants. 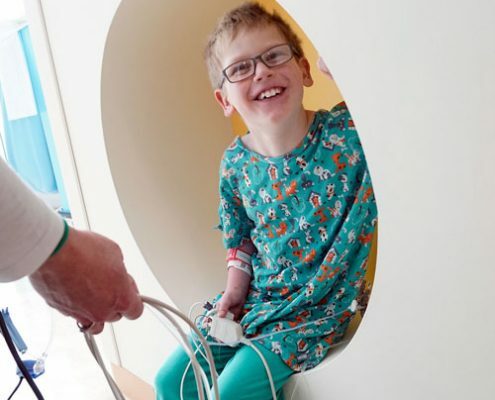 Ireland’s Hope provides financial support to families who have a child currently awaiting a heart transplant or recovering from a heart transplant in Region 7 of the United States (Minnesota, Wisconsin, Illinois, North Dakota and South Dakota). 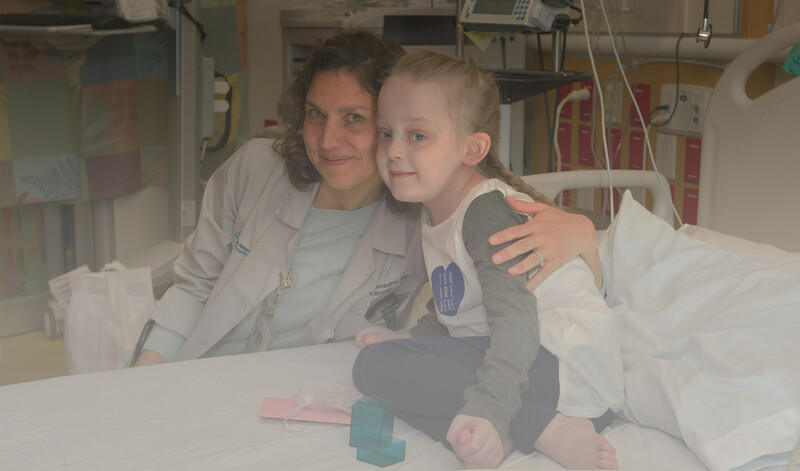 Families who have a child who is undergoing a pediatric heart transplant are frequently left both emotionally and financially devastated. 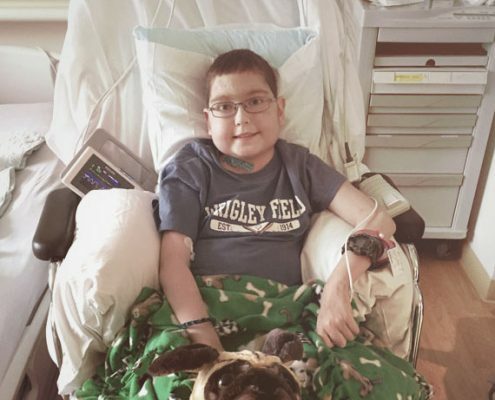 In the United States alone, there are more than 120,000 adults and 2,000 children currently on the waiting list waiting to receive a lifesaving organ. On average, 22 people die each day nationally waiting to receive an organ donation and every 10 minutes another name is added to the National Transplant List. Just one organ donor can save the lives of up to eight people and improve the quality of life for an additional 50. Ireland’s Hope was inspired by a spunky 8 year old girl named Ireland Larson. Ireland was born with right hypoplastic heart syndrome, which means an underdeveloped right ventricle. 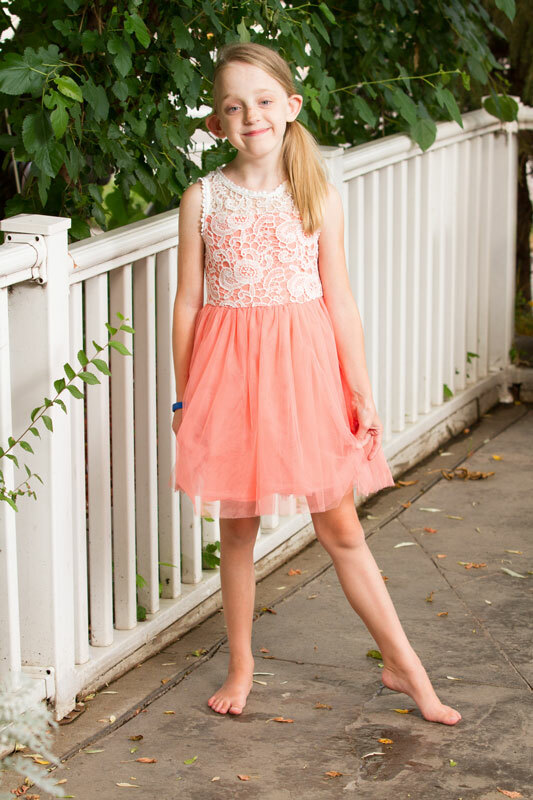 Ireland experienced her first open heart surgery when she was just six weeks old. 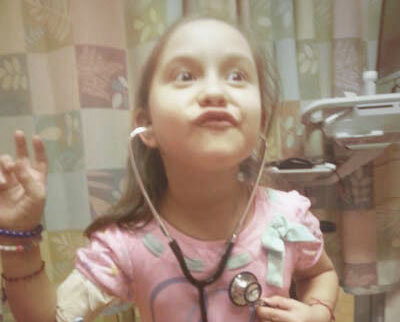 By the time Ireland was four years old, she had already undergone three open heart surgeries. In addition to this, Ireland spent a large portion of her life in and out of hospitals. As time passed, Ireland continued to experience health complications. She was eventually diagnosed as being in advanced heart failure. She would require a heart transplant in order to survive. 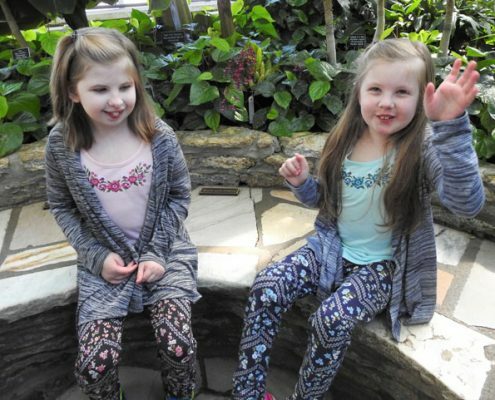 Ireland became hospitalized again in January of 2015, where she spent 10 long months waiting to receive a heart transplant, and a second chance at life. Finally, in October of 2015, Ireland got her heart transplant. Even though Ireland’s Hope was named after Ireland herself, this foundation does exist for all the brave young warriors in need of HOPE. 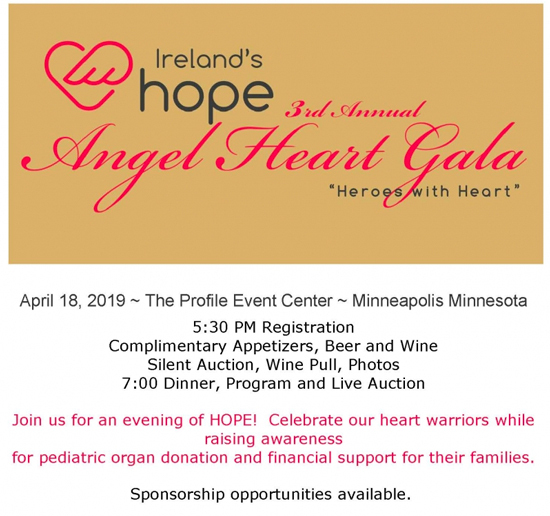 Ireland’s Hope is a 501(c)(3) non-profit organization committed to increasing pediatric organ donation while providing financial assistance to families of children who are undergoing a heart transplant. 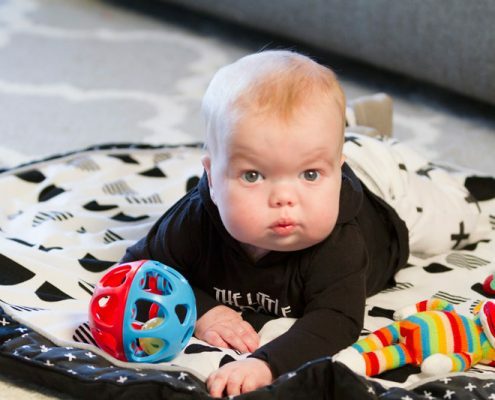 The organization was founded by Ireland’s aunt, Patti O’Connor, in 2015 after witnessing firsthand the financial impact that exists as families are waiting for their child to receive a heart transplant. Patti saw the gap that medical insurance doesn’t account for, everyday living expenses. These expenses include a families mortgage/rent payment, utility bills, transportation and food. 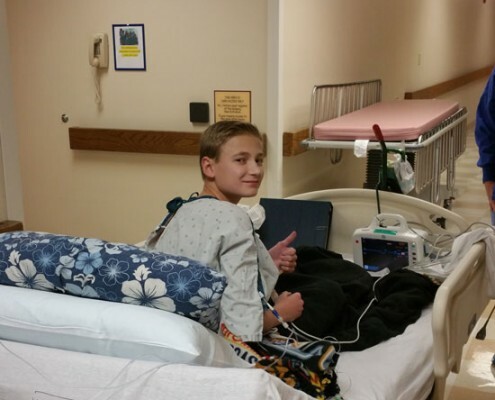 The decision was made to pay it forward and bring HOPE to these families in need.